If you don’t mind some physical activity, you should see Maui from a bike. In fact, there are few places in the world that are as bike-friendly as Maui. There are even bicycle tours that let you go from one end of the island to the other as well as downhill bicycle tours. 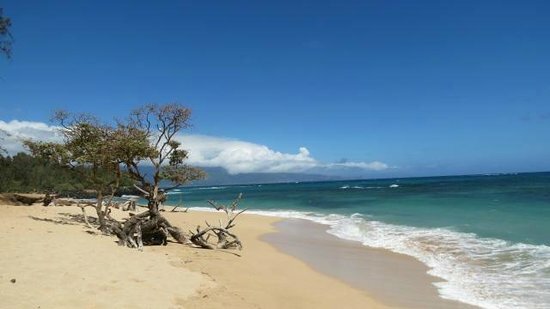 On our first day of outing we opted for a slow-paced tour that allowed us to see the farms and small towns of the upcountry and headed down to the beaches at Paia for an afternoon beach day. Later that night, we decided to BBQ at the villa. We made a run to COSTCO and had a fun BBQ on the beautiful grounds of the villa. Our second day on Maui we took a hike and then went horseback riding. There are fabulous trails that take you all over the island, but we hiked in the great craters of Haleakala and hit the Triple L Ranch Private Custom Horseback Rides for a three hour horseback riding tour that was simply amazing. Nothing that you would have been able to explore by car, as the views were gorgeous and the horses were well trained.